The Rose dynasty goes back to the wife of the original founder of the city of Shushan. Shushana (Susan) the original Rose was the wife of Elam founder of Shushan and from her daughter Yiskah Bat Shoshana (wife of Madai) descended the direct Matriarchal line. Yiskah was a prophetess who gazed into the mysteries of the Divine Rose. She studied in the academy of her grandfather Shem (born 2502 died 1902 BC) son of Noah (born 3004 BC died 2054 BC) with her grandmother Sedeketelebab in the city named for her grandmother by Shem. Her sister Ratzonia (Rasueja) Bat Shoshana was the wife of her uncle Arpachshad son of Shem (see the Book of Jubilees). Sedeketelebab means ‘righteousness of the Heart’ and this was the spiritual religion of Noah and Shem based on Divine Mercy (Khesed) and obedience to the Divine Will (Ratzon) as taught by Enoch. The names of Shem’s family reveal the ancient Enochian religion. Shem was known as the Messenger of Righteousness (Malakhitzedek) and in Jewish tradition he became confused with Melchizedek (the King of Righteousness) King of Shalem and the King of the Land of the Rising Sun. Melchizedek was the angelic messenger sent to preserve the patriarchal religion in purity and pass it to Abraham. He continued the Academy of Shem where Isaac and Jacob studied. This is why the Egyptians referred to Shalem as Shem-re. The name Shemesh (sun) was associated with both Shem and Melchizedek as the sun was a symbol for the Divine Will in which all the divine attributes were united as one. This was the divine Rose seen as a six petalled flower represent by the six stems of the double Shin in the word Shesh the root word for both the number six and the rose (shoshan). This Divine Rose and Sun was also seen as the Divine Seed (Zera/Osirus) and Divine Man (Adam Kadmon/Atum). Who is this Adam Kadmon? He is the Bekadmin Bera of the Aramaic first two words of Genesis read at the mystical level. On the literal level it reads ‘In the beginning created’ and at the mystical level it reveals the mystery of ‘with the Primordial Son’. The Aramaic word for heaven or sky in Genesis 1 is Shamya which in Egyptian becomes Shem-re. Shamya in Hebrew is Shamayim. The concept of the Divine Name (shem) is associated with the Sea (yam/mayim) and with fire (esh). Thus the name (shem) of the Divine Sea (yam/yammah) which is especially linked to divine mercy (khesed) became shamayim (heaven) and the name (shem) of the Divine Fire especially linked to divine Judgment (din/dinah) became shemesh (sun). Shem is associated with the mystery of the double shin as shemesh (sun), as shoshan (rose) and as shesh (six). His father Noah was associated with the mystery of the double mem as his other name was Menakhem and his life is linked to the waters (mayim) of the flood. The names of the two sons of Arpachshad (born 2402 BC died 2237 BC) reveal the religious split at this time. Cainan (born 2344BC) discovered the ancient writings of the Cainites and revived their cult of Enki, while his brother Khesed remained true to the religion of Enoch (known as An or Anu or Anum). Cainan married Milkam the daughter of Yiskah the prophetess of the Rose. Milkam can mean invested priestess or Queen Mother. Milkam and Cainan were the Queen and King of Eridu. Khesed was the priest-king of Uruk. His daughter Muak married Cainan’s son Shelah (born 2319 died 1886 BC). Shelah’s sister Dinah (Diana Goddess of the Hunt) was a wife of Nimrod the mighty Hunter also called Enmerkar. 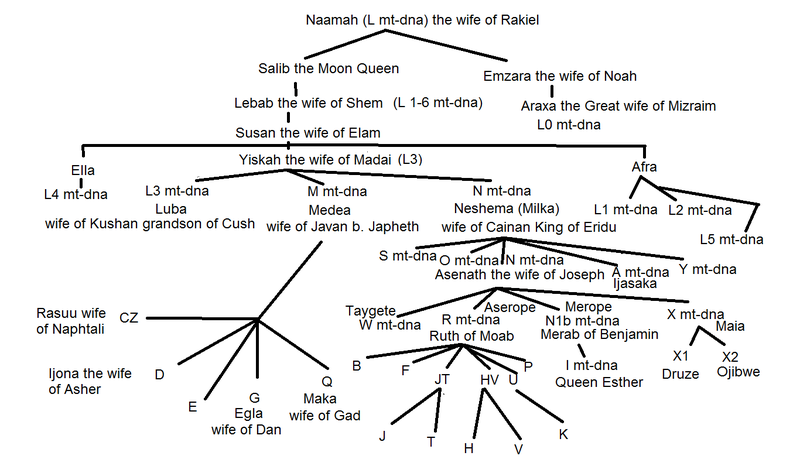 Dinah’s daughter Azurad married her cousin Eber (born 2284 BC died 1820 BC) founder of the Hebrew people and language after Babel. Babel is heart read in reverse (lebab). Her brother-in-law was Khesed the founder of the city of Ur. Her half-sister was Derketo an evil huntress and warrior Queen. Khesed’s son Ur married Milkam the daughter of Eber and Azurad. Eber was King of the city of Ebla. His son Peleg (born 2250 BC died 2011 BC)) moved from the East to Shinar and married there. Milkam and Ur’s daughters Princess Ora and Princess Azurad married the two sons of Peleg, Reu (born 2124 2220 BC died 1971 BC) and Khaba who would rule Byblos and Egypt. Reu’s son by Princess Ora the High Priestess of Anu was Sargon the Great (born 2188 BC died 1958). This matriarchal Rose dynasty called the Baty Shoshanim were matriarchal ancestors of the Hebrew matriarchal line and the matriarchal Royal line of Egypt. The Royal Pictish matriarchal line was descended from these Daughters of Dinah (Dana/Diana). The Davidic Queens Bathsheba and Tamar were of the matriarchal royal Egyptian line. There descendants were known as Daughters of David or Daughters of Tamar. The name Nitocris for a legendary Egyptian Queen of the 6th Dynasty with a beautiful white and ruddy complexion refers to the name Intkaes or Anatkaes(also Nutkawes). The Hebrew Matriarchs were known for their fair beauty. Ancient sources such as the Dead Sea Scrolls describe Sarah and Rebecca as having milk white hair and skin. The Bible also describes Rachel as fair of features and form. The beloved in the Song of Songs is also described as white and ruddy. King David is described as of ruddy complexion and hair. The Mystical Rose is also white and red as the Rosa Mundi. The dudaim flower was originally associated with Leah wife of Jacob. It was later in Egypt called sesh or shesh from the double shin in the name of Isaschar. The dudaim flower had three petals or stems (like the fleur de-lys) and this is represented by the three arms of the letter shin. Two shins together are six arms or six petals and the vav between the two shins also is the number six. In some hieroglyphics a three stemmed flower that looks almost identical to the letter Shin is used to transcribe the word Seshen. From dudaim would also come the word Beloved (dodi) in Hebrew and Mery in Egyptian also means Beloved. Miriam or Mariamne means in Egyptian the beloved of Amon. Amon means architect in Hebrew and is the name of Joseph in Egypt. Amon is also the name of the Primordial Torah. Dudumose means ‘the beloved is born’ which was the original name of Moses and his sister Miriam is the ‘beloved of Amon’. As Prince Dudumose Moses also bore on his battle shield the red Magen David (double dalet) design with the two base lines in a vertical formation. The Star of Miriam on her drum was the white Magen David (double mem) with the base lines horizontal. The Star of Miriam is the modern Magen David on the Israeli flag and were the rose Magen Davids of the Tabernacle and Temple. 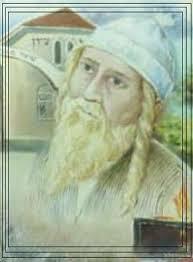 The red Magen was also called the Magen Abraham based on his title of Dudimu in Egypt. His wife Sarai had the white Rose as her emblem. Sheshen-Yuab also means heart of the rose. Yeb or yuab meaning heart in Egyptian. The name Sheshi is associated with Mayebre (see the heart of Ra) and Yakubher with Meruserre (Beloved Power of Ra). The Stone of Jacob in Egyptian is sheshet yuab. Shesh-t means a white precious stone and yuab heart. This is a confused Egyptian telling of the story of Jacob’s vision of the heart of heaven while sleeping with his head on the Stone (shesh-t). The stone as shesh-t is in the shape of the final mem which is similar to the hieroglyphic ‘m’. The stone as cap-stone is benben and is shaped like the triangular mem. There is some discussion in the Jewish tradition whether the stone tablets of the 10 commandments were in the shesh-t form of the square or rectangular mem or the benben form of the triangular mem. It is quite possible that one of the tablets was in the square shesh-t form and the other in the triangular and pyramidal form. The shesh-t is the foundation or base stone called in Hebrew ‘yesod’ and the benben is the cap-stone of the pyramid. The square base of the pyramid and the triangular sides and cap stone represent this mystery of the two mems and two dalets. The understanding of the dynasties of Egypt as commonly accepted by academia are a muddled concoction of 12th Dynasty invention mixed with Manetho’s artificial lengthening of Egypt’s antiquity plus the theories of 18th and 19th century Egyptologists. Velikovsky first drew attention to the problems of Egyptian Chronology and many others have followed in his footsteps. The figure of Joseph is important in a reevaluation of the history of Egypt. The so-called 4th, 5th, 6th, and 11th dynasties are in reality Josephite dynasties or what I called the Rose Dynasty. The third Dynasty’s so-called Pharaoh Netjerkhet was in fact Joseph . Joseph (born 1801 BC) was known also as Imhotep, Djoser, Redji, Inyotef, Zaphanat Paneat or Zatenef Ipiankhu, Djedi and Djedefre. He was also called Temu as the priest of On (Heliopolis) which position he inherited from his wife Asenath’s adopted father-in-law the Priest of On (Annu). He was the Great Architect of the whole pyramid complex which he initiated and oversaw until his death in 1691 BC. Abraham was in Egypt at the time of the so-called 1st dynasty in the time of Pharaoh Den in 1979 BC. This dynasty was descended from Abraham’s ancestors Reu and Sargon. Abraham (b.2059 BC d. 1884 BC) was known to them as Dudimu or Thoth and Sarah as the beautiful Seshen (Lotus Lily). Hagar was Pharaoh’s daughter. The Pharaoh of Joseph’s time was the 2nd Dynasty Pharaoh Khasekhemwy (reigned c.1785-1755 BC) who was originally called Khasekhem but when Joseph and Jacob appeared in Egypt he adapted it to Khasekhemwy which means ‘The Two Powerful Ones Appear’. The 2nd dynasty was the House of Sekhem and was founded by Hotepsekhemwy (Sekhem-kha) who was a great noble in 1st Dynasty Egypt and a descendant of Khaba brother of Reu. The name Sekhem or Sakham means ‘Son of the Sun’. Khasekhem or Kasakham means ‘likeness of the son of the sun’. His grandson Pharaoh Nynetjer (reigned c.1848-1812 BC) mounted an expedition to Canaan which the Egyptians called the Land or House of the North and the city of Shalem they called Shem-re. Nyntjer’s son Khamor the Serpentine was made the Egyptian Prince of this region of Canaan which they named Sekhem in honour of the dynasty. Khamor also named his son Sekhem (or Shekhem) who was the father of Asenath. Khamor was the brother of Pharoah Sekhemib (reigned c.1812-1785 BC) who later took the name Seth-Peribsen and was succeeded eventually by his son Khasekhem. After Dinah gave birth to Asenath, Jacob sought to protect her by sending her to her father’s Egyptian relatives. The Pharoah entrusted his infant niece to the care of the High priest of An (On / Heliopolis). Khasekhemwy was succeeded as Pharaoh by his son Pharaoh Khaba (reigned c.1755-1748 BC) by Queen Namaathap. Pharaoh Khaba married Sheshet a sister or daughter of Phares son of Judah. The 4th Dynasty was the Josephite dynasty of Ephraim, centred in Abydos in Upper Egypt and they were the coordinators of the Pyramid project which was a great work to reveal the sacred realm in a mirror image on the earth connected with the figure of Orion and the River of the Milky Way. Nasi Ephraim is the father of Nasu Seneferu Lord of Abydos and his brother Nasi Manasseh is Nasu Mentuhotep ancestor of the Memphite 6th Dynasty and the Elephantine 5th dynasty and the Theban 11th dynasty. Their sister Intkaes (Anatkawes/Khenut) married Meriyibre Khety (also called Unas) a son of Hezron (Huni). Joseph’s two grandaughter’s by Intkaes Priestess of Annu and Chantress of Amon were called the White Rose and the Red Rose. Sesheshet-Neferu the White Rose married Montuhotep (Manasseh) Prince of Thebes and her sister Khentkawes (Iput) the Red Rose married Inyotef-Teti (Ankhtify) of Hierakonpolis, his son. Their brother was Neferkare I who ruled in Heraklepolis in Lower Egypt. Inyotef (Joseph) Teti (Ankhtify) led an army against Thebes and his brother Inyotef Wahankh was installed as Nasu of Thebes during the reign of Neferkare III of the House of Khety and he married Neferu the sister of Neferkare III. Inyotef Wahankh’s sister Meryinyotef (‘beloved of Joseph’) married Khufu (Khapa/ Cheops) Prince of Abydos and Giza (1685-1662) the son of Senefru ( son of Ephraim) Prince of Abydos and Giza (1710-1685). In Hebrew Panei means face (Panim means faces) and in Aramaic face is Apei. Paneah means ‘Face of God’ and Ipiankhu means ‘the face of life’. Khapa (Khufu) means ‘likeness of the faces’. Seneferu Efrayim means ‘son of the beautiful face (or nose) of Ra’. Khafre was the son of Khufu. Khafre or Chephren (1654-1632) means ‘likeness of Efrayim’ or ‘likeness of the nose (or face) of Ra’. Ra is Jacob the one who wrestled and beheld God faces to faces. Khafre’s son was Shepseskare Prince of Abydos and Giza (1632-1625). Djedefre (1662-1654) is ‘He who is the face (or nose) of Ra’. Djedefre’s son was Neferefre Prince of Abydos and Giza (1625-1618). Neferefre was the father of Djedkare-Isesi Prince of Abydos and Giza (1577-1542). Djedkare was the last Hebrew Prince of Abydos and Giza who was defeated by Pharoah Amenemhet I. Around 1566 when Pharaoh Mentuhotep IV fled Egypt Djedkare retreated to the south to Giza. After their defeated by Amenemhet many of the Ephraimites left Egypt to joined their Ephraimite brothers already settled in Lebanon and Palestine. The Philistines in Gaza allied themselves with Amenemhet and massacred many of the Ephramites. Shepseskare’s brothers were Niuserre and Menkaure. Niuserre (1618-1587) means ‘possessed of Ra’s power’. Menkaure (1587-1581) means ‘Eternal Likeness of Ra’. Menkaure’s son was Shepseskaf (Ptahshepses) Prince of Abydos and Giza (1581-1577) and Vizier under his uncle/father-in-law Niuserre Prince of Abydos. Shepseskaf’s wife Khamaat was also called Khamerenebty (Likeness of the beloved Lady) daughter of Niuserre. Menkaure’s wife Khentkaes was also called Khamerenebty. Heman or Hemon was also a Zerahite Vizier in Egypt and the architect of the Great Pyramid. That the genealogy in Chronicles does refer to the Zerahites we see in 1 Kings 4 that the Zerahites as also called Ezrahites. "For he was wiser than all men, than Ethan the Ezrahite, Heman, Calcol and Darda, the sons of Mahol; and his fame was known in all the surrounding nations." Mahol the son of Zerah was called Nefermaat by the Egyptians and his wife Atet or Itet was a daughter of the son of Ephraim who was known to the Egyptians as Sneferu. Mahol(Mehu) Nefermaat was the husband of the eldest daughter of Sneferu, but Egyptologists believe he is the son rather than the son-in-law of Sneferu. He was also a Vizier of Egypt. The Petrie Museum website states: "The vizier was in almost all periods the head of the administration. The title king's son might mean that Nefermaat was really the son of a king, but there are many examples, especially from the Old Kingdom, where the title was honorific. In the Egyptian language, 'son' could also mean grandson or even great-grandson. Because of the importance of Nefermaat, which can be seen at his huge tomb, he is often regarded as real son of king Snefru. However there is no proof for that." Heman's son Merari (Mereruka) was also a Vizier of Egypt to Inyotef Teti and was the father of Mered (Meriteti) also a Vizier of Pepi I Meryre. Sneferu son of Ephraim married Hetepheres the daughter of Huni (Hezron) and granddaughter of Phares ha Nasi. Meryret was the daughter of Pharaoh Khaba and his Hebrew wife Sheshet daughter of Phares haNasi (b.1830 BC) and granddaughter of Judah and Tamar. Meryret was the wife of Huni (Hezron). Khaba co-reigned his son-in-law Hezron as Pharaoh Huni (reigned c.1755-1748 BC). Huni was succeeded by his son Meriyibre Khety Unas (reigned c.1748-1737 BC). His son Neferkare I Akhety (reigned c. 1737-1730). He was succeeded by his brother Nebkaure Akhety (reigned c. 1730-1725 BC). Nebkaure was succeeded by his son Neferkare II Akhety (reigned c. 1725-1720) also called Kaneferre. He was succeeded by his cousin Neferkare III Akhety (reigned c.1720-1715 BC). He was succeeded by his son Userkaf (reigned c.1715-1707 BC). Userkaf was succeeded by his son Sahure (reigned c. 1707-1693 BC). He was succeeded by his brother-in-law Kalkol as Pharaoh Neferirkare (reigned c.1693-1689 BC) the Egyptian Governor and founder of Athens in Greece where clans from the tribes of Dan and Gad had already settled. His brother Darda (Dardanus) settled on the western coast of Turkey (Ionia) with many of the clans of the Zarahites or Ezrahites. Clans of Ephraim settled in Lebanon (Phoenica) and Palestine (Canaan). Joseph (Djedi) died during his reign aged 110. At this time Joseph's grandson Senefru was Prince of Abydos and Giza. Neferirkare was succeeded as Pharaoh by his cousin Inyotef I of Thebes (1689-1650) son of Mentuhotep I(Manasseh son of Joseph). Inyotef I was succeeded by his brother Inyotef II Wahankh (1650-1599). He was succeeded by his son Inyotef III (1598- 1589). Inyotef III's son Montuhotep II succeeded him as the Nasi of Thebes. 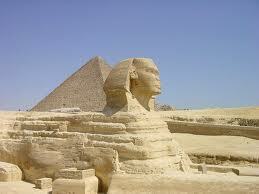 He reigned as Prince of Thebes for 50 years and as Pharaoh for 11 years (reigned 1589-1578). His son Mentuhotep III (reigned c.1578-1566 BC) succeeded him as Pharaoh. His son Mentuhotep IV (1566-1560) reigned only six years and then fled Egypt in ships for the Egyptian colonies with many of his followers. He was usurped by his Vizier Amenemhet whose mother was the daughter of Pharaoh Sahure and his father Senusret a native Egyptian. "Year 16, third month of winter: the king made his southern boundary at Heh. I have made my boundary further south than my fathers. I have added to what was bequeathed me. (...) As for any son (ie. successor) of mine who shall maintain this border which my Majesty has made, he is my son born to my Majesty. The true son is he who champions his father, who guards the border of his begetter. But he [who] abandons it, who fails to fight for it, he is not my son, he was not born to me. Now my majesty has had an image made of my majesty, at this border which my majesty has made, in order that you maintain it, in order that you fight for it." At 20 years of age in the the 19th Year of his adopted father Sensuret III he was made co-ruler with his adopted father as Amenemhet III when he was successful again in the Nubia (Ethiopian) campaign of that year. He left Egypt about 1390 and left his son by his Egyptian wife Hetepti (his adopted sister daughter of Sobeknefru and her half-brother Sensuret III) with his adopted Mother. Moses’ son Amenemhet IV on the death of Sensuret III in 1388 became Pharaoh and Mereret became the Regent as Sobekneferu. Amenemhet IV removed to Thebes on his grandmother’s death and his descendants continued there until they once again ruled Egypt as the 17th and 18th Mosaic or Theban Dynasties. Many have in recent years realised that the Pharoah of the Exodus must be from the 13th Dynasty as first proposed by Velikovsky. Some claim that Dudimose or Dudumose (Tutimaos/Thothmose) was the Pharoah of the Exodus. In fact this was the name of Moses who was also as a general called Mer-meshoi and then as co-Pharoah Amenemhet III. Neferhotep replaced Amemenhet IV and he was succeeded by his brother Sobekhotep IV. Most of the 13th Dynasty Pharoahs were contemporary with the 12th Dynasty and it is the 13th Dynasty Pharoah Sobekhotep IV Khaneferre who is the Pharoah of the Exodus. It is said that he married one of the Princesses descended from Senusret III. The Exodus occurred around 1350 BC. The Israelites entered the Promised Land around 1310 BC. Joseph is also known as Djoser Ateti and Netjerkhet. Ateti can also be written Adedi or Teti or Dedi or Thoth or Tuti or Dodi. Thus Djoser Ateti is the same as Yosef haDodi – Joseph the Beloved. The word kawes or kaes is kalleh (bride) in Hebrew. The name Intkaes or Anatkawes means the Bride of Heaven (Nut) and the name Netjerkhet can mean the Divine Body or the divine Bridegroom (Khatan). The House of Akhety is thus the House of the Bridegroom. Asenut (also called Anath) means the beloved of the sky goddess Nut. This beloved of Nut is also called Isis. The As in Asenath is Isis. The Egyptians called Asenath Isis and the Ephraimite Phoenicians called her Anath. Isis is the Egyptian version of the promised Isha of Genesis 3:15 and her seed the Zera is associated with Sirius (zerius) which is Osirus in Egypt. In Sumer Henoch is known as Anu or Anum and is also associated with the Zera (Seed) and the constellation of the Divine Man Sirius or Orion. His wife and daughter-in-law were both called Edna or Edni (Edinah or Dinah) and were seen as types of the promised Isha. The mother of Abraham was also called Edna. This term Edni or Etni meant a priestess-princess in ancient Sumer. Cain’s son Henoch is also called Enki in Sumer and is called Anubis in Egypt. The name Kaleb or Kawab means the soul (or likeness) of the heart and is also Geb (Gaweb/Galeb) the earth God of Egypt represented by the phallus. This is Yesod or Brit in the Jewish understanding of the Sefirot. The Egyptian Ennead of nine gods is a corruption of the the Jewish and Enochian understanding of the Attributes (Sefirot). Kaleb was a descendant of Phares Judah and he married the Ephraimite Hetepheres (Efrata) daughter of Khufu. He also married Miriam daughter of the Vizier Mered of Zerah Judah. Jewish tradition relates that King David was a descendant of this Caleb and Miriam. Their daughter Shoshana married Amram (Anbaram) of Levi. Further revision of the datings of the ancient world also need to be taken into account. The date usually given for the destruction of the First Temple of Solomon today in 586 BC whereas Jewish sources say 422-5 BC- in fact I believe it is around 460-5 BC. Solomon lived in the 9th century BC not the tenth. The First Temple was built around the 860 BC. I believe the datings of the Exodus in the 13th dynasty, Solomon in the 18th dynasty and the time of the Babylonian Exile in the 19th dynasty by Velikovsky to be correct. However I believe Velikovsky's dates have to be revised down as he accepted the 586 BC dating of the Destruction of the the First Temple. I believe that originally Jewish authorities dated the Temple to around 460 BC but later adjusted it by 40 years so that the 490 years ended at the destruction of the Second Temple rather than the crucifixion of Jesus. Thus Rameses II lived in the 5th century BC. It would seem that recent testing of the DNA of the mummy of Tutankhamun and the mummies of other 18th Dynasty royals have demonstrated that Tutankhamun and his grandfather Amenhotep III belong to R1b1a2 a haplogroup found commonly in Western Europe. This has caused a great upset in certain circles. However those who accept the revision of Egyptian history suggested by the Jewish genius Immanuel Velikovsky should not be surprised. It would seem that Zahi Hawass is also hiding more results that don't fit with accepted Eygptologists theories. Reading through all the discussions it would seem that there is a break in the Y-dna of the 18th Dynasty. One article on Wikipedia states that the dna evidence shows Thutmose III is not the son of Thutmose II. However reading the study the article references this doesn't seem to be what it says. However I do believe there may be a break in the y-dna line and that Amenhotep II is not the natural son of Thutmose III but his relative and adopted son. Velikovsky and Isaac Newton stated that Thutmose III was the Pharoah Shishak mentioned in the Bible who sacked Jerusalem in the 5th year of the reign of King Rehoboam the son of King Solomon. Velikovsky also in his book "Ages in Chaos" associated the Queen of Sheba with Queen Hatshepsut who was the aunt, step mother and regent for Thutmose III. Egyptologists state that Thutmose II who was the husband of Hatshepsut was also the father of Thutmose III by another wife Iset. We know that Queen Hatshepsut had a sister Nefrubity who disappears from Egyptian history and is assumed to have died young by many Egyptologists. However some who follow Velikovsky believe that she was the Royal Egyptian wife of King Solomon. I propose that Amenhotep II (Prince Siamun) is in fact the young cousin of Thutmose III who was brought back to Egypt with his mother at the time of his raid on Egypt and with the death of his own son Amenemhat made him his heir. Thutmose III married his aunt who now took the name Hatshepsut-Merytre in honour of her older sister. Thus Amenhotep II became the step son of Thutmose III. Amenhotep II's brother (or nephew) may have been Yuya also a son (or grandson) of Solomon (who was also called Yedidiya)and his Egyptian wife. Amenhotep II was married to his cousin Tia (Tamar)the beautiful daughter of Prince Absalom of Israel. Thus Amenhotep II and his descendants are of the same y-dna as the Davidic Royal House. Elsewhere I have discussed the Davidic y-dna as R1b1a2-L21. It is therefore interesting that the y-dna of Tutankhamun, his father (some believe his father was Akhenaten others his brother Smenkare) and grandfather Amenhotep III are R1b1a2. Amenhotep II also had a son called Userstatet the King's Son of Kush who may have been the Zerah the Cushite (Ethiopian) of the Bible. It is also possible that he was the ancestor of the Ethiopian Solomonic Dynasty. Userstatet's father is also called Siamun which is the Egyptian version of Solomon. Bathsheba the mother of Solomon was the daughter of Prince Siamun of Egypt (called Ammiel in Hebrew)and she called her son after her father. Egyptologists list Siamun as the brother of Amenhotep I. Also at this time there was a Lector-Priest called Siamun whose mother was called the chantress Amenhotep. Bathsheba's father Siamun converted to the Israelite faith and took the name Ammiel or Eliam. The pagan son of Amon (si-amun) becomes part of the People of God (ammiel). Bathsheba as a daughter of convert parents from the Egyptian Royal family firstly marries the converted Hittite General Uriah. Solomon as a son of a mother of Royal Egyptian origin is considered a suitable husband for Pharoah's Daughter. It is also possible that Lady Tuya (the wife of Lord Yuya)was a daughter of Lord Menna and his wife Princess Henuttawi. 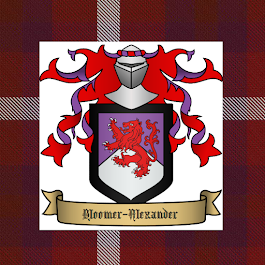 Lord Menna was the grandson of Prince Nathan of Israel (a full brother of King Solomon). Menna's tomb can be found in Egypt. Hatshepsut is identified as the Queen of Sheba who is also called the Queen of the South and Queen of Egypt and Ethiopia. She in fact was the High Queen and Priestess of an advanced southern hemisphere Empire that included Southern Africa, Australia, South America and India. She is a cousin of Bathsheba the Queen Mother of Israel and Tamar Queen of Geshur. This Empire is known as the Red Empire (Rhoda /Rudra /Ruda /Riata/ Ruadh). The city of Rhoda in North America is named for this Empire as is Dal Riata in Ireland and Scotland. It was also known as Mu, Lemuria, Amu, Marutz as it was settled by descendants of Aram. The name Rudra is associated with Mars and is one of the Hindu Gods and the name Marutz is the origin of the name Mars (Ares). The Celtic God Rudiobus is also associated with Mars. The greater Australian continent was bombarded with missiles (meteors?) from some celestial events involving Mars the Red planet. The red dust of inland Australia reminds one of the red planet. 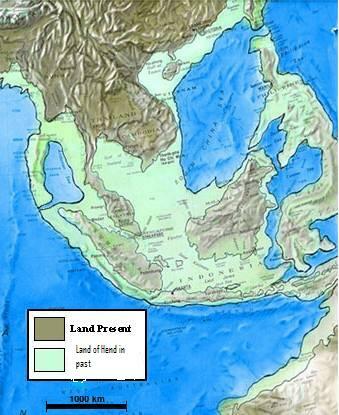 The South West of Western Australia was the Land of Kedar and the Kedarites later settled in Arabia. It is from here that the Kedarites famous frankincense came made from the Australian Sandalwood tree. The Kedarite Queens of Arabia were descended from these Queen-Priestesses of Dinah (Diana/ Dana). The gold bearing central and Northern Western Australia is called Sheba and Dedan. For a long period Western Australia (which was larger before the cataclysmic events sunk much of the coastlands into the sea) was separated from Arabia and India by a volcanic wall of fire in a strait called the Sabbaton. The black aborigine population of Australia were descendants of Ham's called Sheba and Dedan. Later the white sons of Joktan settled in Sheba and Dedan and this was the first home of Job (called Uz or Oz). Uz was a son of Aram. 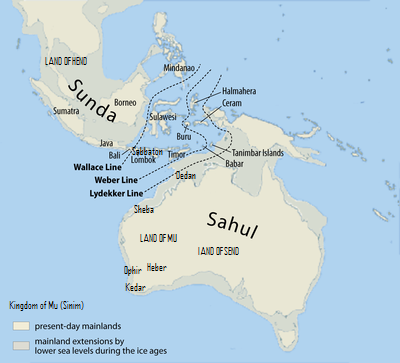 The port city of Ophir (Perth) was also in south-west Australia in the region called Send or Sheba while the Northern part which was connected to Sri Lanka and Indonesia was called Hend (Havilah). It is also possible that the fiery Sabbaton River was the water separating Hend and Send. Some of the 10 lost tribes headed south from Iran (possibly via India)and settled in Western Australia (original Kedar) around 400 BC joining the remnants of the Ephraimite Phoenician /Egyptian colonists whose Empire had been destroyed by the conflict with Mars mentioned by Velikovsky. Further destruction occurred around 540 AD when some kind of meteors hit off the Northern coast of Australia ushering in the Dark Ages in Europe and the end of the Arthurian Empire (see King Arthur and the Comet). Hatshepsut was the daughter of Queen Ahmose who married the Egyptian Pharoah called Thutmose I. Ahmose was the daughter of Shiva (Rudra/Kedar/Kedarnath)who was remembered in India as a God and his wife Makeda (also known as Chandika /Kandake). The Ephraimite Phoenicians and Egyptians had settled in Western Australia before 1400 BC were ruled by their Queen -Priestesses of the daughters of Dinah and Asenath and a Zerahite Egyptian Governor descended from Hemon. Shiva was this Royal Governor or King of Kedar/Sheba descended from the Red Branch of Zerah-Judah (Dyeus /Zeus /Jupiter). Using the actual ydna rates found in R1b families and also taking into account Immanuel Velikovsky's redating of King Tutankhamen's Dynasty to the ninth century BC fits the evidence of a later date much better. 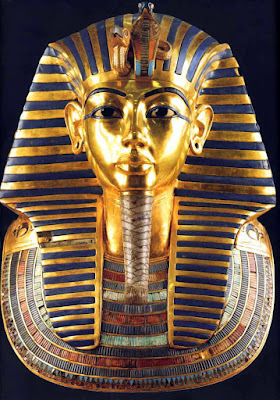 This is confirmed by the Radio Carbon datings of artifacts in Tutankhamen's tomb. As Velikovsky wrote: "...In 1971, or seven years later, the British Museum processed palm kernels and mat reed from the tomb of Tutankhamen. The resulting dates, as Dr. Edwards, Curator of the Egyptian Department of the British Museum, wrote to the University of Pennsylvania radiocarbon laboratory, were -899 for the palm kernels and -846 for the mat reed...". Thus I would date R1b1a2 to between 3,000-4,000 years ago in Ancient Israel. I would also date its parent R1b to about 4000 years ago. A large grouping of R1b1a2 moved in to the Caucasus Mountain region of Assyria about 2,500 years ago and from here moved in different waves into Europe across the Russian (Scythian) steppes. Tutankhamun received his R1b1a2 dna from King Solomon (who married an Egyptian Princess)who lived about 150 years before Tutankhamun according to Velikovsky. Thus his ydna would most likely be R1b1a2-L21 which I believe is the ydna signature of the Royal Davidic House. This does not mean that Tutankhamun looked like a red-haired Scotsman or like his red-haired ancestor King David. However in the mummies of this dynasty there is evidence of red and blonde hair in the Royal family and their ancestors. One's racial features come from the mix of all one's ancestors not just the ancestry of one's father's direct male line. Thus Tutankhamun reigned from about 713-703 BC when King Joash was King of Judah. His grandfather Amenhotep III reigned from about 771-733 BC around the time of Kings Jehoshaphat and Jehoram of Judah. Akhnaten lived during the reigns of Kings Jehoram, Ahaziah and Joash as well as Queen Athaliah. Thutmose III who died around 787 BC in the reign of King Asa the grandson of King Solomon. Solomon's son by the Egyptian Princess Nefrubity (later Queeen Hapshepsut-Meryte of Egypt wife of Thutmose III)Amenhotep II (formerly Prince Siamun)reigned from about 807-781 BC. Amenhotep II's brother may have been Prince Yeh or Yeho who was the father of Lord Yuya (Yedidiya)) and Lady Mutemwiya (who married her cousin Thutmose IV).Thutmose IV (died c.771 BC) was the father of Amenhotep III. Another of Amenhotep II's sons was Usersatet (Zerah) King's Son of Kush the ancestor of the later Kushite (Nubian) dynasty that ruled Egypt. 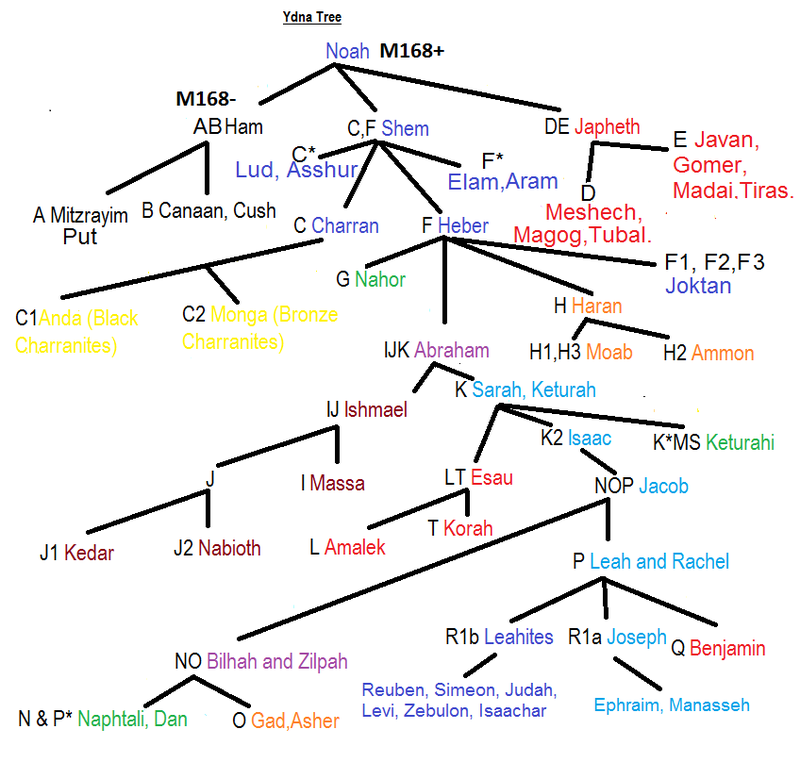 Userstatet's mother was Tiaa Nenunhermentes the daughter of Heman (Hermen) of the House of Zerah-Judah (a son of Gani (Ganesha/ Gindibu) the Royal Governor of Mu (Rhoda) of the House of Zerah-Judah) and Nenuna (Netuna) a daughter of Mattatha the yibum son of Prince Nathan (Narada) of Israel. Piye or Piankhi of the 25th Dynasty is the same person as Piankhi of the the 23rd dynasty. He reigned about 695-679 BC around the time of King Uzziah of Judah. His son Shabaka reigned from about 679-655 BC. Another son was Pinedjiem I of the so-called 21st Dynasty who was the High Priest of Amun and Thebes. Another son the Pharoah Tarhaka was the ancestor of the later Kings of Kush/Nubia beginning with his son Atlanersa who died around 592 BC. Piye or Piankhi was the son of the Kushite (Nubian) Kashta whose parents were Amenhotep-Huy King of Kush and Nefer daughter of Tutankhamun. Piankhi married Hrere the daughter of Horemheb (also identified with Herihor). Rameses XI has been confused with Rameses I (Necho I). Tentamun (Tia-Sitre) daughter of the priest Nebseni married Rameses. Tentamun's grandmother was Tamosi (Tamar/ Tia). Tentamun was named in honour of Pharoah Tantamani who reigned from about 613-605 BC. Their daughter Duathathor-Henuttawi married Pinedjem High Priest of Amun. Another daughter also called Tentamun (Tia-Sitre) married Smendes I of Lower Egypt. Pinedjem I's granddaughter Maatkare (daughter of Psusennes I High Priest of Amun) married Osorkon son of Shoshenk. After the reign of Tantamani Egypt was invaded by Libyan (Berber/Meshwesh/Milesian) tribesmen led by Shoshenk and he was succeeded by his son Orsokon who married the daughter of the High Priest of Amun. Egyptologists state: "...At some unknown point in his reign, Seti I defeated Libyan tribesmen who had invaded Egypt's western border. Although defeated, the Libyans would pose an ever increasing threat to Egypt during the reigns of Merenptah and Ramesses III. The Egyptian army also put down a minor “rebellion” in Nubia in the 8th year of Seti I. Seti himself did not participate in it although his Crown Prince, the future Ramesses II, may have...". It would seem that the Egyptologists as usual have totally muddled this dynasty and created shadow Pharoahs. The later so-called Pharoah of the Libyan dynasties are in fact local rulers and High Priests of Thebes. These Libyan rulers descend from the Sokho or Sokar (Osorkon) and would seem to be connected to the Milesians in Egypt. The Battle of Kadesh in the time of Seti I (Psamtik) and Rameses II (Necho) was at the end of the reign of King Josiah of Judah. Rameses II's son was Seti II (also called Psamtik)who reigned from about 420-403 BC and was the father of Apries (who was also called Merenptah I and Hophra) who reigned from about 403-383 BC. As mentioned previously the so-called Rameses XI was in fact Rameses I. Rameses IX's mother was Princess Takhat a daughter of Merenptah II Sipta the son of Seti II Amasis reigned from 420-403 BC. Psamtik III (Seti III) may have been the Persian Governor of Egypt under Arsames according to Velikovsky. Velikovsky identified Rameses III with Nectanebo I and his son Rameses VI with Nectanebo II. It is also interesting that in the Gaelic Milesian legends the Pharoah is also called Nectanebo the father of Scota (Sukkota /Asenath). Rameses III's mother was Queen Tia (Tamara) daughter of Prince Nilius of the Milesians and Princess Asenath (Sukkota/Isnetnofret) of Judah (daughter of Zedekiah). Asenath's sister Tamar (Tia)was the mother of Nathan the Red (Nuadha) who was also known as Rudamon and Nepherites (Nefaarud) who overthrew Persian rule in Upper Egypt around 400-395 BC in the reign of Ahaseurus (around 406-392 BC) the son of Darius the Mede and husband of Queen Esther. These daughters of Zedekiah fled to Egypt with Jeremiah the prophet after 460 BC. Rameses III's wife was also a Jewess called Asenath (Iset/Isis)whose mother may have been Tamar (Tia/Tyti/ Ta-Hemdjert) the wife of Nathan the Red. They were the parents of Rameses IV (Teos) and Rameses VI (Nectanebo II). Cambyses's conquest of Egypt was around 410-405 BC. Cambyses was the son of Cyrus (reigned around 410-405). Confusion has resulted in the faculty datings of the Kings of Persia. There is no Cambyses I and II but one Cambyses who was the son of Cyrus (there is no Cyrus II either). Modern historians claim that there were 10 kings over 208 years whereas Rabbinic tradition says 4 kings over 52 years. The Libyan or Milesian rulers of Egypt battled against Persian rule and eventually most of the R1b descendants left Egypt for Libya (Morocco) and the western part of North Africa eventually settling in Spain for a time before moving to Ireland and Britain beginning in the 3rd century BC.